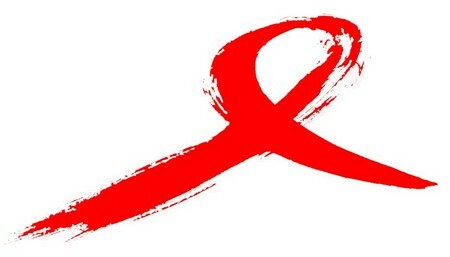 AIDS, or Acquired Immunodeficiency Syndrome, is not a specific disease, but rather a syndrome of HIV infection paired with opportunistic infections. Because the Human Immunodeficiency Virus attacks the CD4 lymphocytes, a type of white blood cell, the immune system of infected patients break down and ultimately stops functioning. The absence of immunity has made the patient vulnerable to diseases without any way to fight them, where a simple flu can debilitate an HIV-infected person. The place where it came from has been recently identified as Kinshasha in the Democratic Republic of Congo where a man with the same symptoms as AIDS died there in 1959. A blood sample was collected from his remains and laboratory results showed the man had an HIV infection. He probably died from complications caused by the viral infection. How he was infected remained a mystery, however. Many experts believed that the disease was a form of SIV, or simian immunodeficiency virus, which was transferred from the chimpanzees to humans through ingestion of monkey brains and meat. 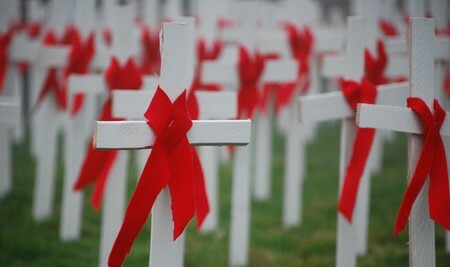 The widespread incidence of AIDS in New York and California in 1981 led to its discovery. Recorded cases of otherwise healthy young men succumbing to a variety of diseases such as Karposi’s Sarcoma, a form of cancer, and Pneumocystis, a rare pneumonia, alarmed the medical community. Doctors called this outbreak GRID, or “gay-related immune deficiency,” which stigmatized the gay community as carriers of this new disease. It was in 1982 when researchers began calling the new disease as AIDS to describe the occurrences of opportunistic infections, Karposi’s Sarcoma, and Pneumocystis pneumonia in healthy young men. A year later, 32 countries have confirmed incidences of the same disease in the United States. In 1983, French researchers at the Pasteur Institute have isolated a retrovirus that they believed caused AIDS. The virus was called human T-cell lymphotropic virus-type III/lymphadenopathy- associated virus (HTLV-III/LAV) by an international science committee. It was later called human immunodeficiency virus when the source of the virus has been traced to the SIV that killed the African monkeys. Although the French researchers were the first to isolate the virus, the US government credits its discovery to Doctor Robert Gallo who claimed he has isolated retrovirus HTLV-III that was responsible for AIDS. Two years later, both viruses were confirmed to be the same. However, the credit for its discovery remained with Gallo. The virus was later renamed as HIV by an international committee of scientists. After six years of intensive medical research, a new treatment for HIV arrives in 1987. FDA approved the use of the drug Retrovir (AZT, Zidovudine) in high doses to treat HIV patients. Five years later in 1992, FDA approved the first drug to be used in combination with AZT. The addition of the drug, Hivid, marked the beginning of HIV/AIDS combination therapies. The fight against AIDS took another powerful step forward when power HIV-fighting drugs called Protease Inhibitors were introduced in 1996. Using these drugs in combination with existing HIV/AIDS drugs was effective in controlling HIV replication. The triple therapies seemed like the best option available for HIV/AIDS patients. 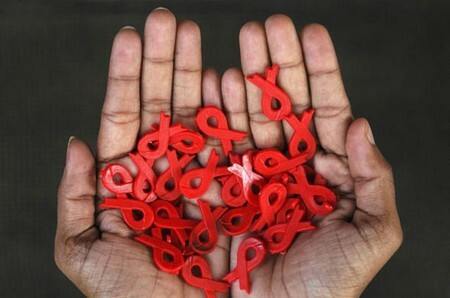 However, a year later, scientists discovered that despite the potency of the drugs HIV/AIDS “hides” in reservoirs in the body, making it impossible to find the cure for HIV/AIDS.